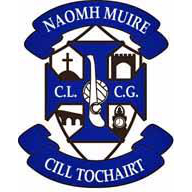 RESULTS – Well done to our Seniors who secured their place in the semi-finals of the Senior Football Championship by beating Gortletteragh on a score line of 1.14 to 0.10 on Sunday afternoon in Ballinamore. We now play Aughawillian in the semi-final which is due to be played on Sunday 30thSeptember. Hard luck to our U13 Reserve team who were beaten in the final on Friday evening by Mohill by 4 points. Hard luck also to our U15’s who were defeated by Manorhamilton by 4 points in the Championship. St. Mary’s V’s Glenfarne/Kiltyclogher at 4pm in Páirc Seán. Please come out and support and very best wishes to both teams. UNDERAGE ACADEMY – Training will continue at St. Mary’s pitch this Saturday from 10am to 11am for U7 and U9 boys and U8, U10 girls. GARY THE UNDERDOG – Wishing St. Mary’s senior player Gary O’Daly very best wishes as he continues his journey in TG4’s legendary GAA series ‘Underdogs’. The show continues this Thursday on TG4 at 9.30pm.